Agrippa (g. by Flying Spur). 6 wins from 1200m to 1600m, A$199,055, MRC Swettenham Stud Summer Championship Heat H., VRC Del Re National Food Group H., 2d MRC Swettenham Stud Summer Championship Final H., Lone Pine H., Sky High Mt Dandenong H., 3d VRC Peter Armytage 2YO H., TAB Sportsbet H., Darwin TC Chief Minister's Cup, SAJC One Toyota Cox Plate Day H.
Bold Trojan (g. by Starcraft). 7 wins from 1350m to 2000m, 3d SAJC Crawford Legal H.
Tia (f. by Savabeel). 2 wins at 1400m, 1500m to 2016-17 in Aust. Chicharito (g. by Red Ransom). 2 wins at 1400m, 1600m in Aust. Oriental Dragon (g. by Sepoy). Placed at 2 in 2016-17, 2d ARC NZB Insurance Pearl Series 2YO H.
Seymour. 2 wins at 1400m, Taranaki RC NZ Bloodstock Insurance Pearl Series H.
Talista (Snippets). 7 wins. See above. Bambu. 9 wins from 1200m to 1800m, A$80,940, STC Jacobs Creek & Cruisers H., 3d Clarence River JC Grafton Guineas, Muswellbrook Cup, AJC Tooheys New H., Burwood H., BTC Hardy Brothers Jewellers H., QTC Sky Channel H.
Master Shot. 2 wins at 1100m, 1200m, AJC Watson's Bay H.
Tumbling Dice. 6 wins to 1000m to 2016-17 in Aust. Really Sure. 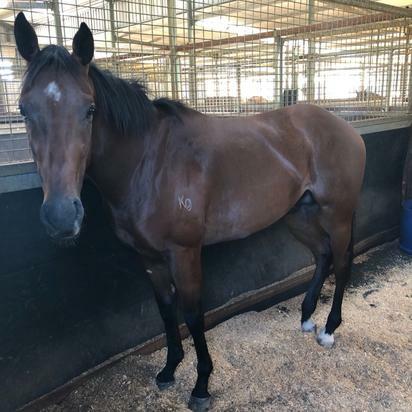 3 wins at 1650m, 1800m to 2016-17, 2d Ipswich TC Queensland Times H., CFMEU Mining & Energy Cup, 3d BRC Jim Beam 3YO H., Teddy Bears Picnic Raceday H.
Benny's Baby. 2 wins-1 at 2-at 1300m in Aust. Debonair. 2 wins at 1400m, 2000m, Singapore TC Class 5 H., Super Racer H., 2d Singapore TC Class 5 H., 3d Singapore TC Class 5 H.-3 times. Western Carnegie. 2 wins at 1400m, 1750m in Aust. Roman Casanova. Winner at 1900m in Aust. TALAGA (Bakharoff). 3 wins. See above. Sir Tee Jay. 8 wins from 1400m to 1900m, A$77,960, STC Celebrate Guineas Night H., Novotel H., 3d STC Sealy H.
Eaton Square. 6 wins from 1400m to 2000m in Aust., Malaysia and Singapore, VATC Perfect Bliss H., Singapore TC Graduation H., Benchmark 78 H., Benchmark 75 H., 2d Singapore TC Benchmark 53 H., 3d Singapore TC Sydney Turf Club Trophy, Benchmark 66 H., Class 5 H.
Lucky Governor. 2 wins at 1300m, Marton JC Elders Livestock (Rangitikei) H.
Bonaire. 2 wins at 2, BATC Todman 2YO H.
Illinois Girl (Traditionally). 4 wins from 1400m to 1700m, A$118,200, VRC Ritzenhoff H., 2d MVRC Sunline S., Gr.2. Producer.